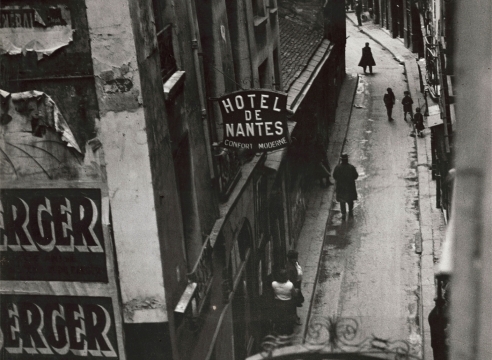 Original photographs used to illustrate the first edition of Henry Miller's Quiet Days in Clichy, published by Olympia Press, Paris, 1956, and by Hans Reitzel, Copenhagen, 1958. A unique set of photographs of Paris in the 1930s by Brassaï will be shown at Howard Greenberg Gallery from September 10–October 24, 2015. On view for the first time in New York, Brassaï and Henry Miller’s Paris is an exhibition of the 27 Brassaï prints used to illustrate the first edition of Miller’s novella Quiet Days in Clichy. Published in 1956, the novella is based on Miller’s rousing experiences as a struggling writer in Paris. The exhibition will open with a reception on Wednesday, September 9 from 6-8 p.m.